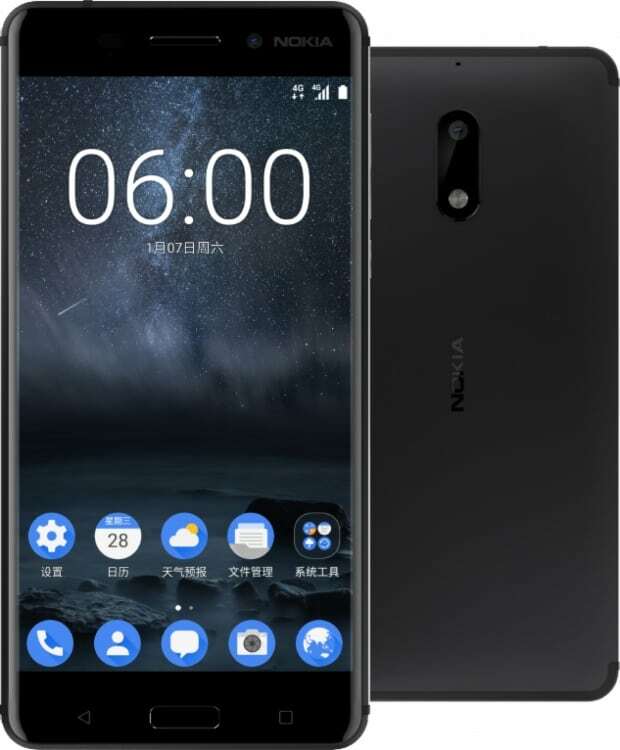 After Nokia 8, the company behind Nokia, HMD Global, has started rolling the Android 8.0 Oreo beta to the mid-range Nokia smartphone Nokia 6. Juho Sarvikas, Chief Product Officer, HMD Global has also shared the news on his Twitter account, he wrote, "#Nokia6 is now joining the #AndroidOreo beta. Subscribe to #Nokiamobilebetalabs to get the update and help us to make the official release just right! http://nokia.com/phones/betalabs". The update is weighted 1140MB with version 5.140 and comes with the December security patch as well. The update is available via the Nokia Beta labs and the users can test the Android 8.0 Oreo on their Nokia 6 devices and after that the stable Android 8.0 Oreo will rollout around the world. The company is also expected to launch the beta program soon for the other Nokia devices as well. The Android 8.0 Oreo update brings different new features to the Nokia 6 that includes faster boot ups, notification dots, auto-fill passwords and much more. 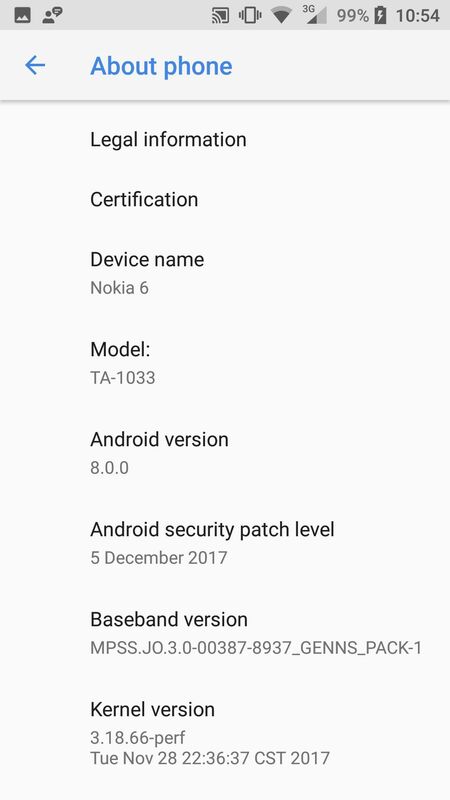 The Android 8.0 Oreo update will bring several new changes to the Nokia 8 UI and improvements including the redesigned settings menu, new file manager, new background restriction for battery improvements, Snooze individual notifications, new gestures for fingerprint, picture-in-picture mode, new battery menu, Rescue party, adaptive icons, notification badges on home screen and many other useful features as well. To recall, the Nokia 6 comes with a 5.5-inch 2.5D curved glass display with 450 nits brightness, Corning Gorilla Glass 3 protection and 1920 x 1080 pixels resolution. Its powered by a octa-core Qualcomm Snapdragon 430 ( 4 x 1.2 GHz Cortex A53 + 4 x 1.5 GHz Cortex A53) 64-bit processor with Adreno 505 GPU and comes with 3GB / 4GB of LPDDR3 RAM with 32GB / 64GB internal storage capacity and MicroSD card expandable storage up to 128GB. It runs on Android 7.1.1 (Nougat) OS out of the box and supports Dual SIM. It features a 16-megapixel rear camera with dual-tone LED flash, PDAF, 1.0um sensor, f/2.0 aperture and an 8-megapixel camera is available on front with 1.12um sensor, f/2.0 aperture and a 84˚ wide-angle lens. A 3000mAh built-in battery comes with 4G LTE, WiFi 802.11 b/g/n, Bluetooth 4.1, GPS, USB OTG connectivity options and additional features includes 3.5mm audio jack, Dual speakers, Dual smart amplifiers (TFA9891) and Dolby Atmos. A fingerprint sensor is available on the physical home button on front. It measures 154 x 75.8 x 7.8 mm. In terested Nokia 6 users can register for the beta update via the Nokia Phones Beta Labs here. 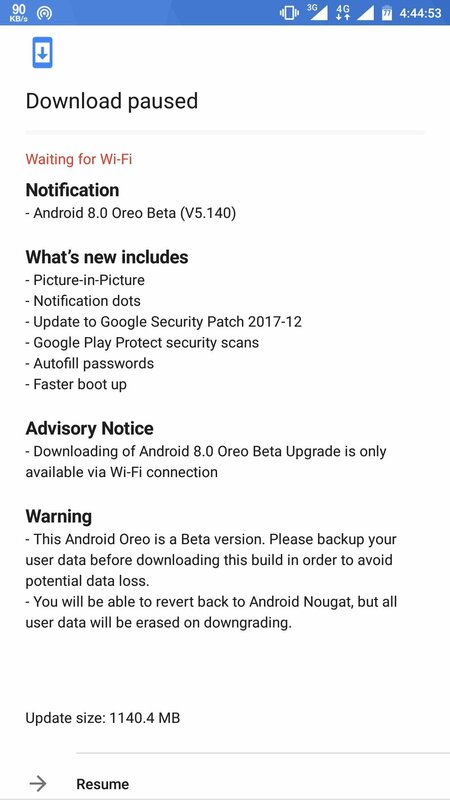 After registering for beta, users can download the beta update bu going to settings>>update to update their phone to the Android 8.0 Oreo beta OS.